After Finding Nemo came out in 2003, something strange happened. Clownfish that look just like Nemo began disappearing from the oceans. People across the world wanted their very own Nemo as a pet. The small orange fish were taken from their ocean habitats, and they are now extinct in parts of Thailand, Sri Lanka and the Philippines. The result was disappointing, especially since the message of the film was Nemo belonged with his dad at home in the open ocean. With the release of Finding Dory on June 17, scientists are concerned a similar pattern will occur. Fish in the wild are already facing hardships such as increased pollution, global warming and coral bleaching. The last thing they need to face is humans taking them from the wild. In 2015, National Geographic reported 5.25 trillion pieces of debris are floating in the ocean. Approximately 270,000 tons of the mass float on the ocean’s surface, blocking the sun from hitting algae and other sea life. The rest of the trash sinks in the deep water, causing deadly consequences for the lives around it. In March 2016, 13 sperm whales beached themselves on the coast of Germany. More disturbing is what researchers found in the stomachs of these whales: a plastic car engine cover, remains of a plastic bucket and a 43-foot long fishing net. Scientists speculate these whales may have gotten disoriented in warm and shallow waters, but the human impact on global warming may be to blame. Ocean temperatures have steadily increased during the past hundred years, since it absorbs heat from warm air. As a marine ecosystem becomes warmer, species may lose their main food source, be forced to migrate or face extinction. If you go to the beach this summer, don’t leave any trash in your area. Beach chairs, toys and umbrellas left behind can easily wash into the ocean when the tide rises. Try to leave your area cleaner than it was when you got there. Another important tip – be careful when shopping for sunscreen. Recent studies show the ingredient oxybenzone, commonly found in sunscreen, bleaches the coral white and leaches its nutrients. Oxybenzone can also disrupt the development of fish and other ocean wildlife. Look for “reef friendly” sunscreen options that are made with titanium oxide or zinc oxide instead. Lastly, if you take your child to see Finding Dory this summer, discuss the meaning of the film as a family. 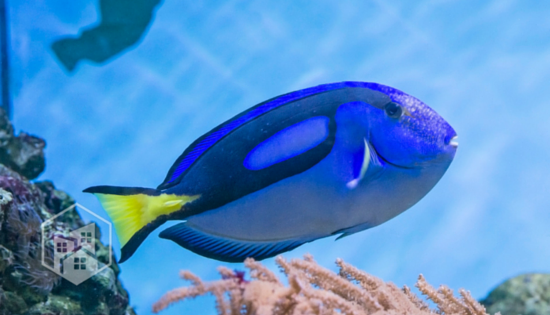 Take this opportunity to explain the importance of ocean conservation, and don’t buy them a blue tang or clownfish as a pet.